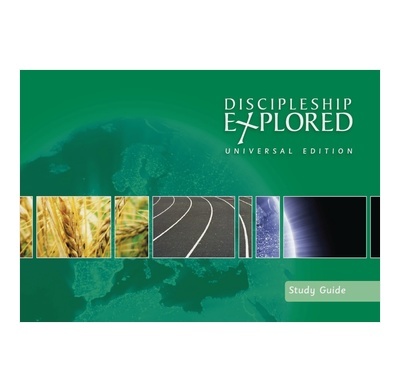 The Discipleship Explored: Universal Edition study guide is for each participant on the course. Each study includes an introductory discussion question, 10-12 questions on the Bible passage and a closing suggestion for prayer. The DE: Universal Edition features a series of Bible studies through Philippians which can be used on their own, or in conjunction with the Discipleship Explored DVD. The studies are designed to be universally accessible with a special emphasis on clear and simple English, making them suitable for use with internationals who are learning English (see the International Version of the study guide) and for anyone else who appreciates really clear and simple language. The Bible studies will also suit regular Bible-study groups and anyone who has recently completed a Christianity Explored course. This Study Guide should be used in conjunction with the Universal Edition Leader's Guide. 8.3" x 5.8" x 0.1"
This resource was a great blessing for our multicultural discipleship group. The DVD worked well as a weekly review. New believers & others all found the material very stimulating. I have used both this and the regular discipleship explored. Both are good, especially the DVD's. This we have used with overseas students and new young Christians. For overseas students the explanations of meanings of words and background is very helpful. It is also good for new Christians with no biblical knowledge. I highly recommend it.